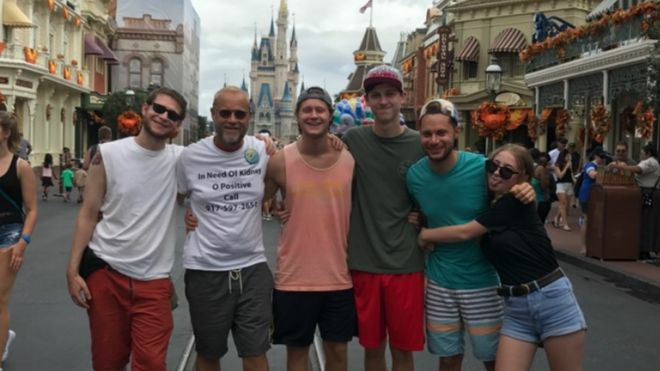 A New Jersey father of five whose T-shirt saying “In Need of Kidney” went viral has received a lifesaving transplant from a stranger. Sixty year old Robert said he had been waiting for about a decade to get a new kidney, finally his background in advertizing worked and he came up with idea of T-shirt. The shirt said he has O-positive blood and listed a phone number to call. He wore it every day during a vacation to Disney World last summer. When the picture of his T-shirt took off on social media, he said, his phone started buzzing with calls, voicemails and messages from random people wanting to help. Medical tests narrowed the donor pool and finally Robert received this lifesaving transplant from a stranger named Richie Sully, Indiana.